One of the cool things about getting MLB Extra Innings from DIRECTV is that you also get the MLB.TV streaming package for free. It’s a benefit that can save you hundreds of dollars and gives you access to your home games when you’re on the road, whether you’re on a smart TV or any of hundreds of devices. The system isn’t perfect, though. You have to manually activate and link your subscription, usually every year. You also need logins at two different sites. To make things worse, the help page that tells you how to activate this benefit is hard to find. If you’re lucky you will see it, hidden deep in the directv.com site, and its location has changed a few times over the years. Since the hardest part of this is actually knowing how to do it, I have this nice little tutorial. I do not know why there isn’t a massive button on the DIRECTV site taking you to the right place, but so be it — I’m happy to educate you. You can do it on a PC, tablet, or phone, it doesn’t seem to matter. If you have issues, my best advice to you is to simply try again in a few hours. This year, I linked everything up without any problems. In past years I had to try several times over the course of several days in order to make it work. I didn’t have to call customer service or anything, I just kept trying. That’s what I recommend if you’re having problems. You will need an active DIRECTV account. If you activated last year, I’ll be honest there’s about a 50/50 chance you’re still activated this year. It sometimes works and sometimes doesn’t. So if you’re already activated (well then you probably haven’t read down this far but still) you might want to try the app before you try to activate again. If you don’t have one, you’ll need an MLB.com account as well. You can get one for free and it gives you player tracking, news, and a lot of other benefits. Once you’ve activated your MLB.TV subscription, you’ll find that you can use it on nearly every device you have. 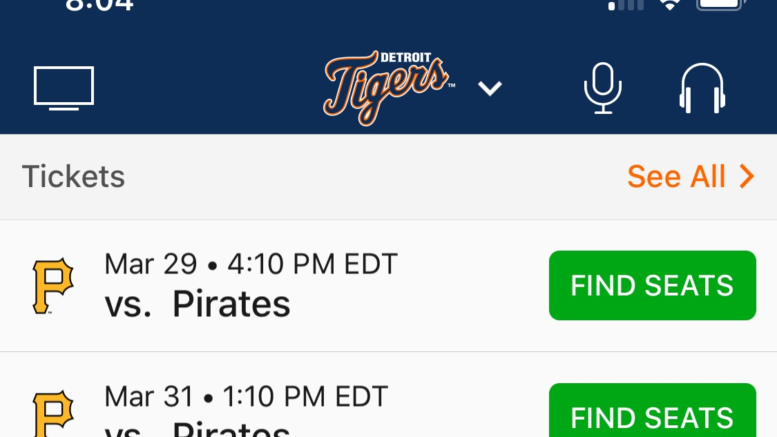 The MLB app is on most smart TVs, basically all streaming devices, iOS and Android devices. There is literally no reason not to watch all the great content out there. It’s worth noting that data charges may apply. You can stream DIRECTV content on your AT&T phone without it affecting your data cap (in most cases) but MLB.TV content doesn’t count. So, if the game is available to stream over the free DIRECTV app for phones and tablets you might want to do it there. In past years your home games did stream through DIRECTV when the silly blackout rules allowed them to. This article originally ran in 2016. I reposted it here because, well, it’s baseball season again.